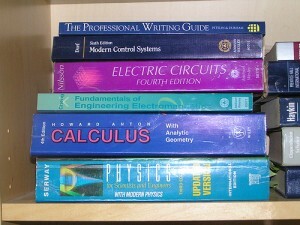 Will College Textbooks Be Obsolete? These days, college students have many more options for buying less expensive versions of their required texts. With sites like Amazon, Half.com, and Craigslist, as well as textbook rental programs, they no longer have to rely on those heavy, expensive texts. Online textbooks that use open source software -- which are becoming more easily available, customizable, and inexpensive -- are beginning to overtake the college textbook market. In Washington state, for instance, some community colleges are considering allowing students to purchase open-source textbooks for as little as $10 a pop. The textbooks would be funded by a $750,000 piece of legislation that would solicit materials from professors, experts, and previously published open source materials for the 81 most popular classes at Washington’s community colleges. This is part of an even larger statewide initiative, the Open Course Library, to gather all the materials for these classes -- not only the textbooks, but also the syllabuses, tests, lecture notes, and videos -- and make them widely and cheaply available. Virginia State University is trying a similar approach in partnership with Flat World Knowledge, an open-source textbook landing site, where Virginia State students can access course materials for free online and pay just $20 to download them, along with study guides and other supplementary multimedia resources. Even some major publishing companies like McGraw-Hill are launching customizable e-textbooks or cheaper, electronic versions of existing textbooks, either through their own sites or one of the largest digital course materials providers out there, CourseSmart. Price seems to be the predominant factor. "What I hear more than 'I want digital' is 'I want a better price,'" said Estella McCollum, the director of the University of Kansas bookstores, in a recent piece on the rise of digital textbooks in the Chronicle of Higher Education. Maybe this means that campus bookstores will start reducing prices by printing textbooks on-demand and on-site, as they do at the University of Kansas. Or perhaps there will be a shift to e-books, and college retailers will figure out different ways to make a profit. The National Association of College Stores is building its own software for e-books, for example, so that it won't be fully dependent on McGraw-Hill. At some schools, it's possible that they'll simply start charging students a course-materials fee that will go to buying e-books, whichever the provider. Considering the reduced cost, ease of access, and the multiple ways students can find course materials these days, it appears that big changes are on the horizon -- if not already here.